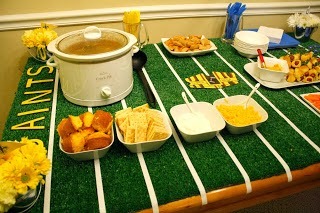 Jackie Fo: 6 Tips for Hosting a great Superbowl Party! 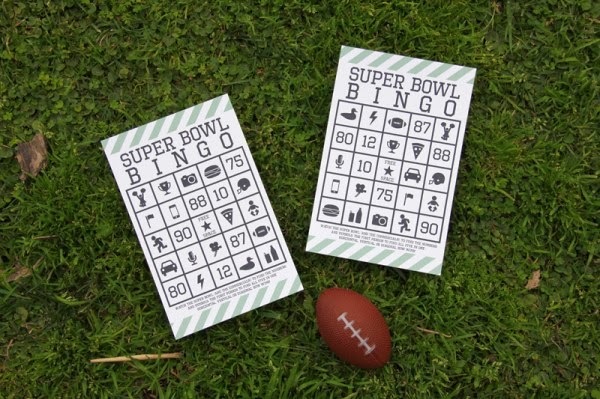 In case you hadn't heard, the Superbowl is rapidly approaching. 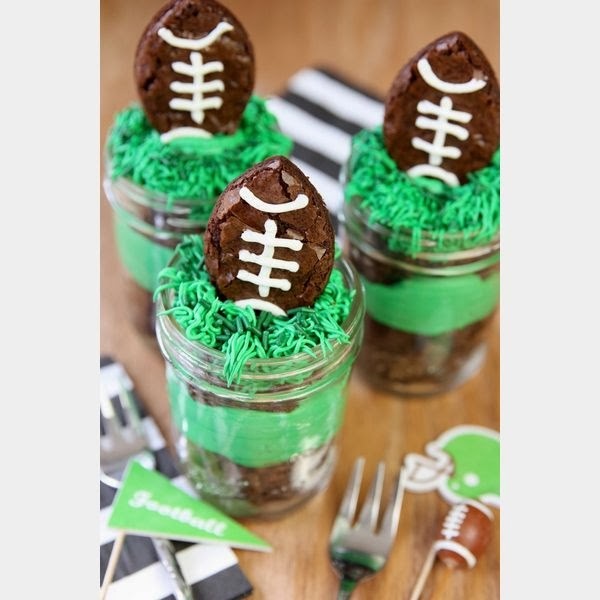 Although our Carolina Panthers didn't make it, watching the Superbowl is the perfect excuse to eat and drink with friends. 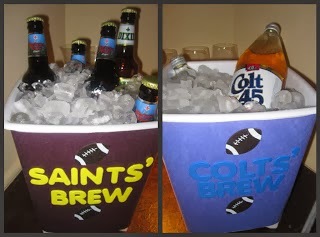 Mr. Fo and I have thrown quite a few Superbowl bashes in our day and for this reason I think I'm qualified to offer a few tips on how to throw a Superbowl party. 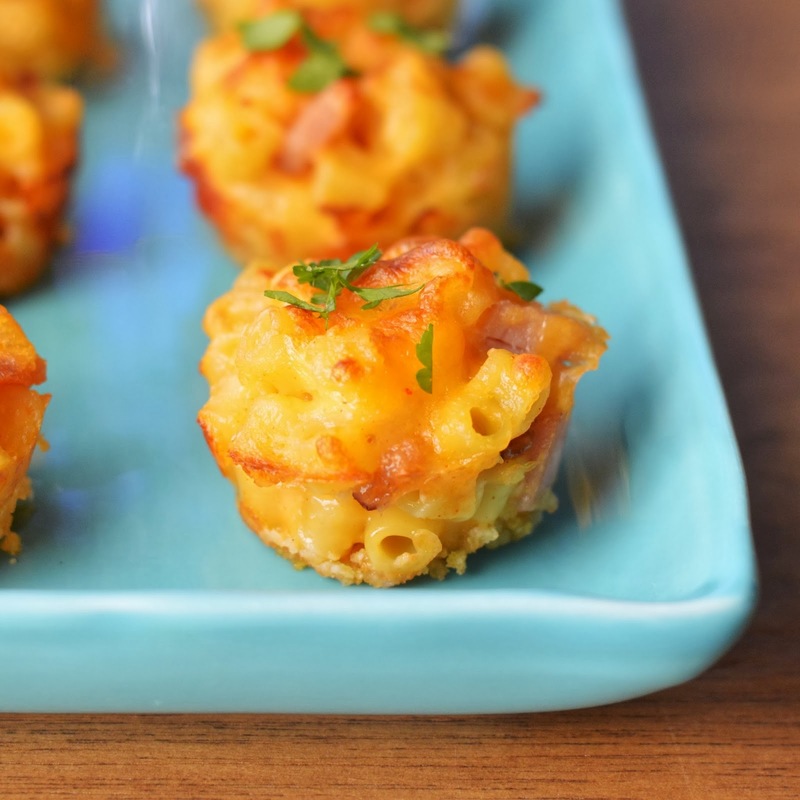 Combining my 2 favorite foods, pasta and cheese - these Mac and Cheese Bites are amazing. 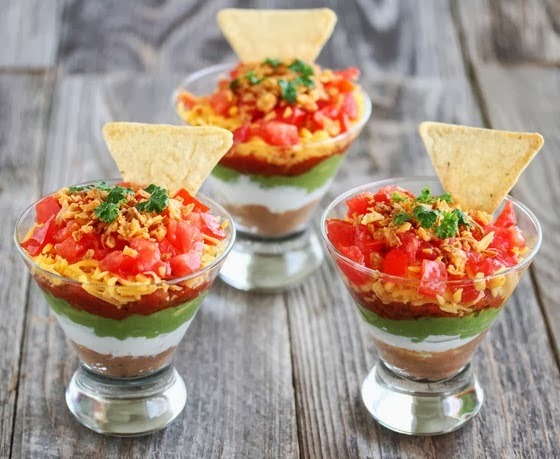 I have made these before (without ham, because I don't think it's necessary) and they are a party pleaser. 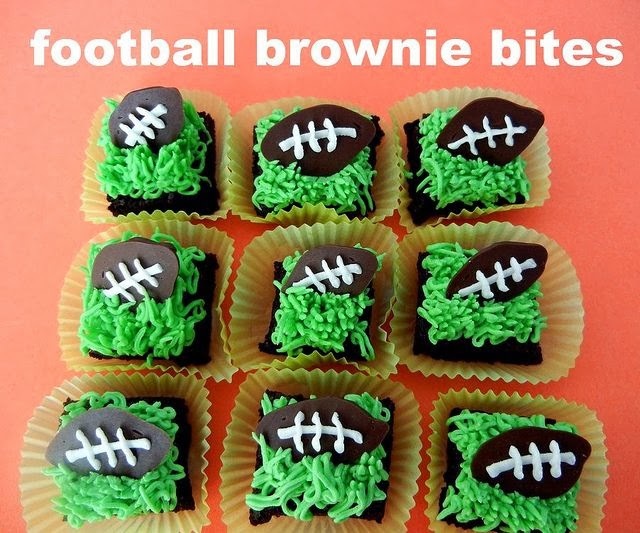 Spiked Football Brownies - Add a little bourbon to your brownies for celebrating when your team wins or drowning your sorrows if they lose! 2) Decorations: This is not the time for a fancy tablescape, overdone florals or tons of sparkles. It's football, so think sporty and casual. 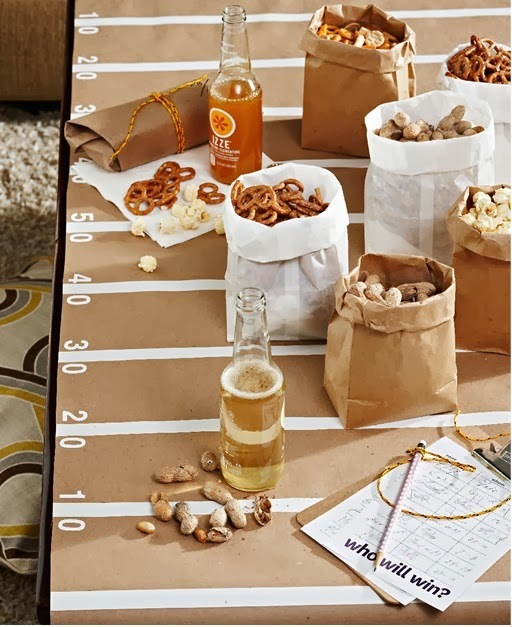 If you must create a tablescape (Ahem, talking about myself) you can't go wrong with a football field table. 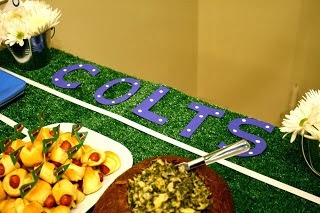 Here's one I did a few years ago using astroturf I picked up from Home Depot. You can see the full party post HERE. 3) Big TV: This is a pretty obvious one, but I thought I'd throw it in there. 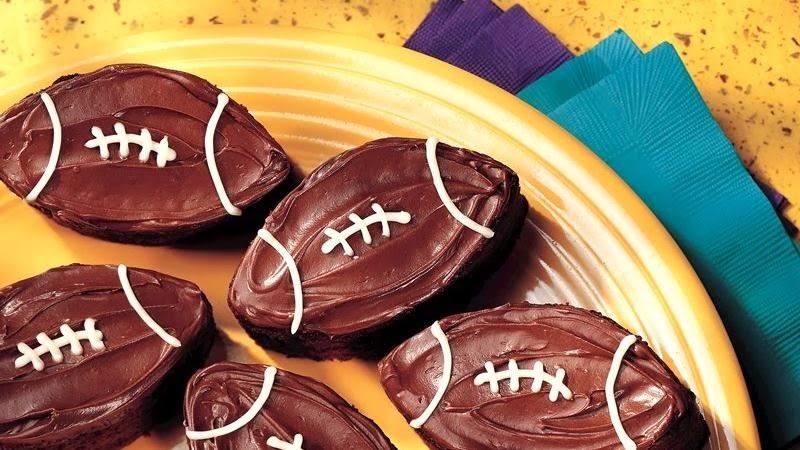 Whether you are watching the game for the commercials or the football, you can't watch the big game with bunny ears. I'm talking to you Mom (her TV is ridonk small). 5) Comfortable dress code: Men should rejoice as this is one of the few times where a jersey is an acceptable thing to wear outside of the house. 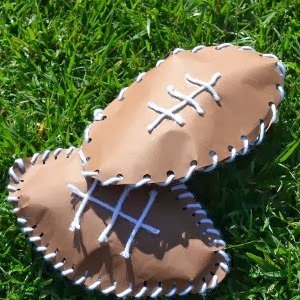 For the ladies, please don't be that girl that shows up to the Superbowl party in heels. Heels + Buffalo Wings don't mix. Finally, there's always the good old fashioned outdoors. 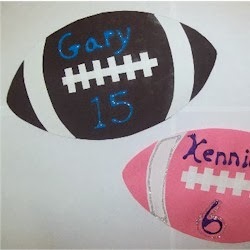 Bundle up your kiddos and send them outside to make their own football memories!